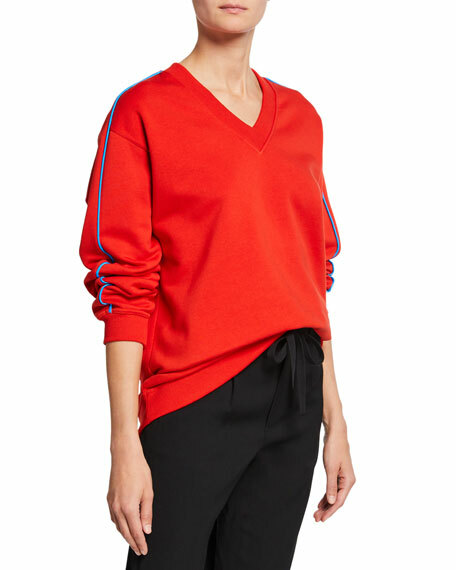 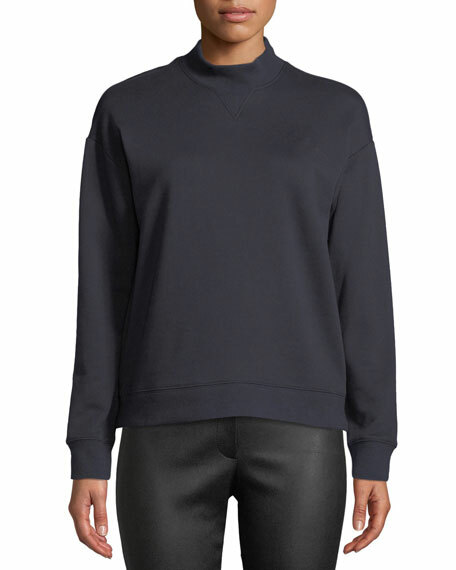 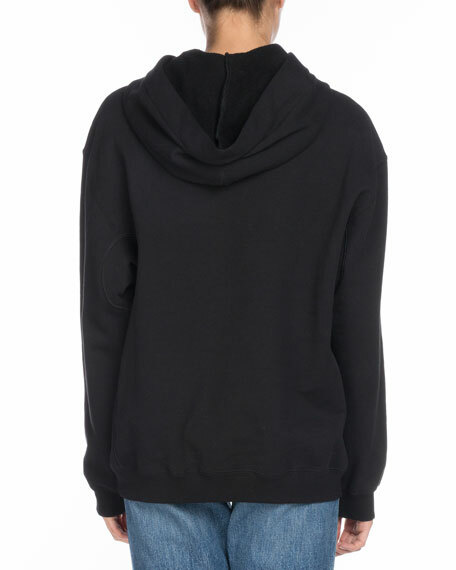 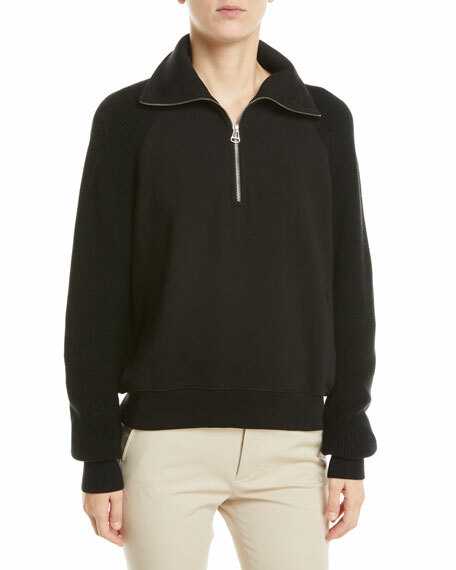 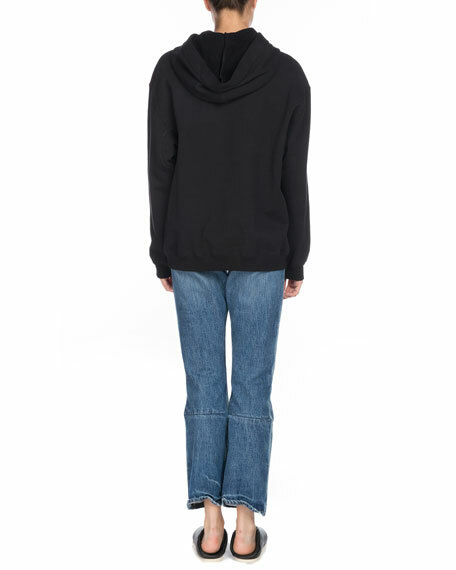 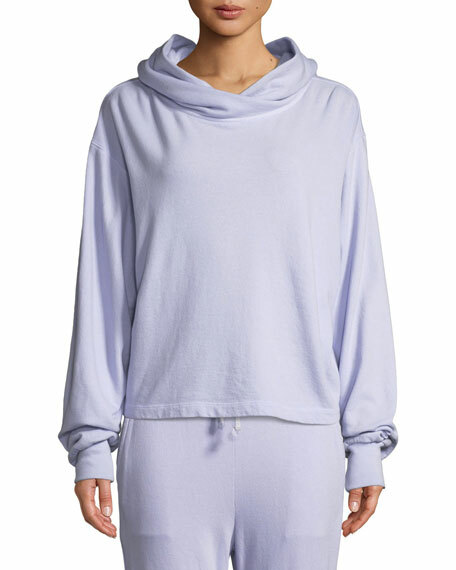 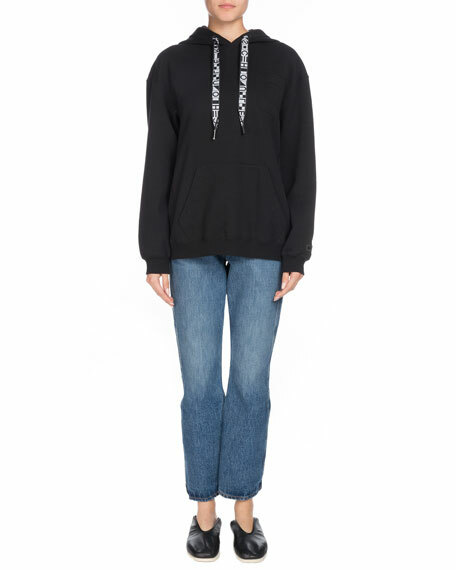 Proenza Schouler PSWL cotton sweatshirt. 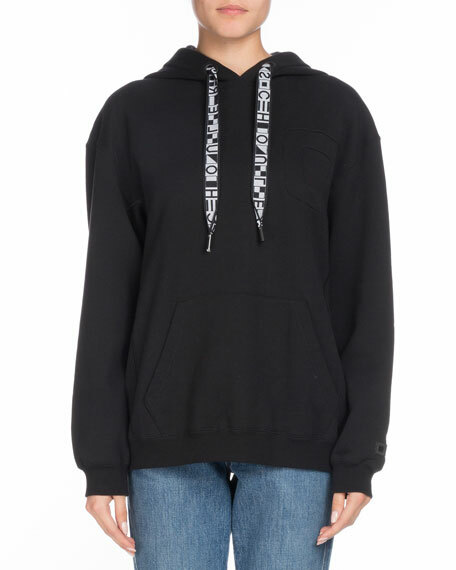 Drawstring hood with logo ties. 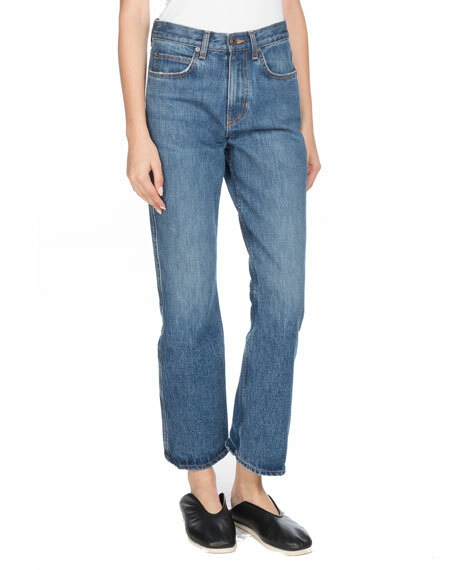 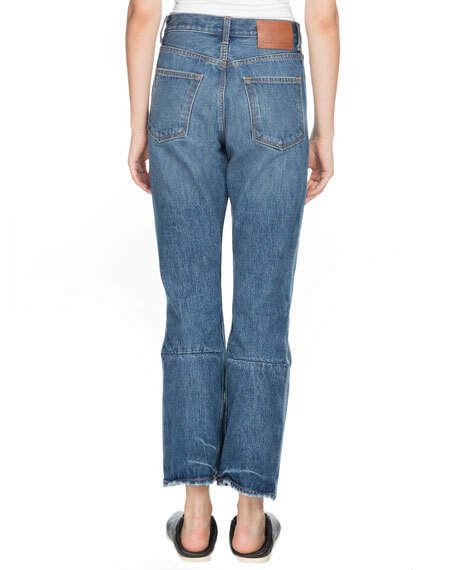 Proenza Schouler PSWL jeans in faded, light-wash denim with whiskering.